Green Orchard Farms (Pvt) Ltd.
GREEN ORCHARD Farms brings you green life. It is the first project of its kind to put all luxury, convenience, aesthetic and other needs as priorities. Property here is not just available at highly affordable prices but eventually pays for itself due to the agricultural and investment yield in the future. This unique project aims to make a healthy life and diet a reality for you with organic farming, with close access to Chakri Road. It is a commercial farmhouse project that has ample farmland for organic farming ventures. All modern facilities are available in lush, green surroundings. These farms have been made in coordination with experts in the field and with some of the top universities in the country. Sill River passes through the land, so its water table is excellent. This makes the land fertile and suitable for organic farming with high yield. These days, the fertilizers and chemicals used in conventional farming have made natural food lose its nutritional value and actually become harmful to health. Hence, organic farming is the best way forward to bringing nutritious food back to the market. Green Orchards provides this excellent opportunity to set up organic farms for the benefit of society as a whole. Located on Lahore Islamabad Motorway. Emerging as one of the fastest growing professional marketing concerns of Pakistan, Udaan Marketing (Pvt) Ltd. is now considered as the true market leader of innovative real-estate marketing. 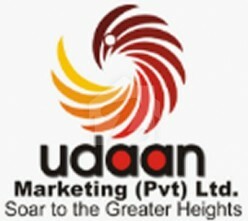 With a vastly experienced and qualified team of successful marketing and advertising practitioners, Udaan Marketing has developed a highly sound reputation and an outstanding track record of success. In fact, the team behind Udaan Marketing enjoys the honor of establishing the Real-Estate Marketing Sector in Pakistan. Green Orchard Farms (pvt.) ltd , is a trustful name , with great experience in agriculture and organic farming field. Providing exclusive services in organic farming. We keep offering projects by experienced team of professionals for our clients. Green Orchard Farms (pvt.) ltd is committed to long term relationships with satisfied customers by providing reliable services and quality solutions, focusing on the details and expectations of our customers.